The Men's D.E.N is Canada's Premier D.epression E.ducation N.etwork for men and their loved ones. Earlier this month, I had occasion to meet with Jean-François Claude, Founder, The Men’s D.E.N. 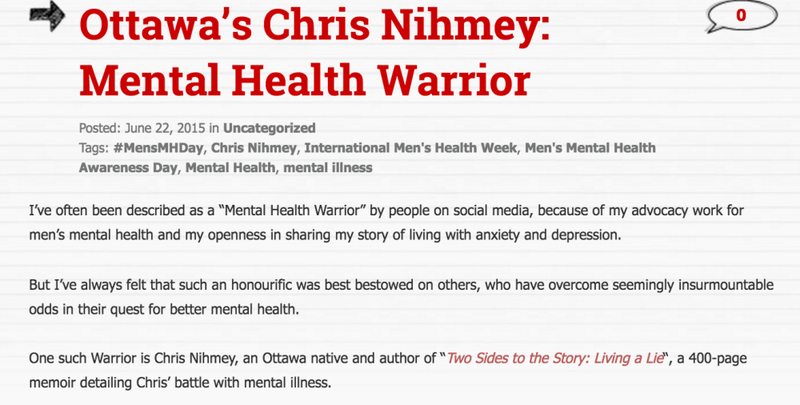 Jean-François Claude had organized a public lecture for Men’s Mental Health Awareness Day in Ottawa and I was fortunate to have been a guest speaker.